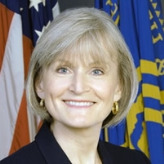 Overseeing the Health Resources and Services Administration (HRSA) is Mary Wakefield, a former nurse, congressional staffer and professor regarded as an expert in rural health care, patient safety, Medicare payment policy, workforce issues and public policy. Wakefield was appointed to the position by President Barack Obama on February 20, 2009. A native of Devils Lake, North Dakota, Wakefield, attended college at the University of Mary in Bismarck where she earned a Bachelor of Science in nursing. She then went to the University of Texas at Austin for graduate school, receiving a master’s and doctoral degrees in nursing. Wakefield’s early career included work at rural nursing homes and as an intensive care nurse in North Dakota and Texas. In 1987 she decided to get involved in politics and joined the congressional staff of U.S. Senator Quentin Burdick (D-North Dakota). Serving as a legislative assistant and later chief of staff to Burdick, Wakefield’s duties included co-chairing the Senate Rural Health Caucus Staff Organization. Following Burdick’s death in 1992, she joined the staff of North Dakota’s other Democratic senator, Kent Conrad. While serving as chief of staff to Conrad, Wakefield was selected as a member of President Bill Clinton’s Advisory Commission on Consumer Protection and Quality in the Health Care Industry. In January 1996 Wakefield accepted a position as director of the Center for Health Policy, Research and Ethics at George Mason University in Fairfax, Virginia. Wakefield also worked as a consultant to the World Health Organization’s Global Programme on AIDS in Geneva, Switzerland, before accepting an academic post at the University of North Dakota (UND). At UND she was associate dean for rural health at the School of Medicine and Health Sciences, a tenured professor, and director of the university’s Center for Rural Health. 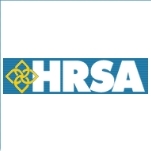 At that time the Center for Rural Health administered a $1.6 million award from HRSA under the Critical Access Hospital Health Information Technology Implementation program. Wakefield also was director of the Rural Assistance Center, a HRSA-funded source of information on rural health and social services for researchers, policymakers, program managers, project officers and the general public. Wakefield is a fellow in the American Academy of Nursing and was elected to the Institute of Medicine (IOM) of the National Academies in 2004. She co-chaired the IOM committee that produced the 2003 report Health Professions Education: A Bridge to Quality and chaired the committee that produced the report Quality through Collaboration: The Future of Rural Health Care. She has served on the Medicare Payment Advisory Commission, as chair of the National Advisory Council for the Agency for Healthcare Research and Quality, and as a member of The National Advisory Committee to HRSA’s Office of Rural Health Policy.